It's time for Top Gun training with this awesome 30 minute jet fighter simulator experience! Get ready to take off on your very own top gun mission in an F/A-18 Hornet Jet Fighter Simulator. This package will give you a taste of the air combat basics. 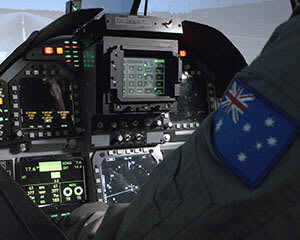 After the briefing where you will learn about the HUD, HOTAS and ACM, you will receive your flight suit and jump into the cockpit where you will take up the challenge of flying the F/A-18 Super Hornet Simulator. Get ready for take-off and the task of fundamental air combat manoeuvres with our expert instructor to guide you through your flight. Can you handle it? Book now!